This delicious 3 layered cake is made with cherries on the inside. It is one of my son’s favorites that I made for his birthday. 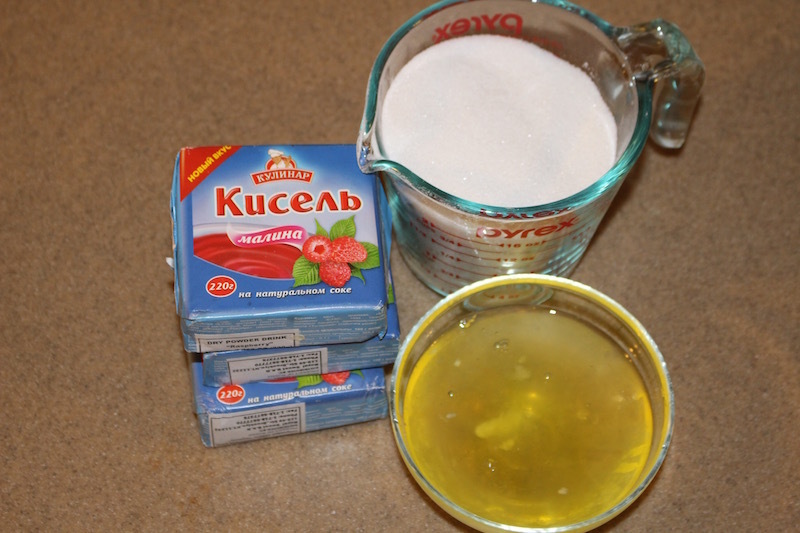 This cake вишнева фантазія is very popular in Ukrainian culture. 1.) Sift flour into a bowl and add room temperature butter and mix well. 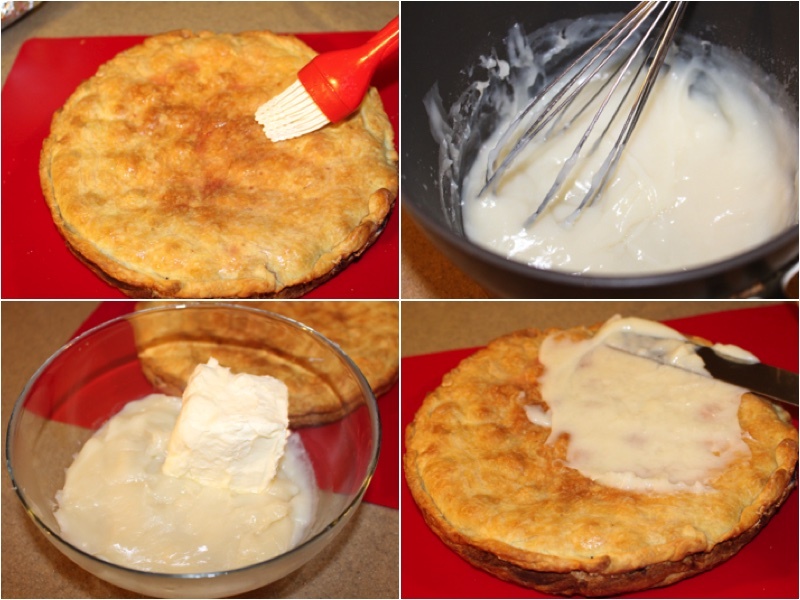 In a separate bowl add egg yolks, baking powder, vanilla sugar, and sour cream and mix. Then combine both of the mixtures together and mix well until it becomes smooth dough. Make the dough into an oval shape as shown in the picture above and then divide into 6 equal pieces. 2.) 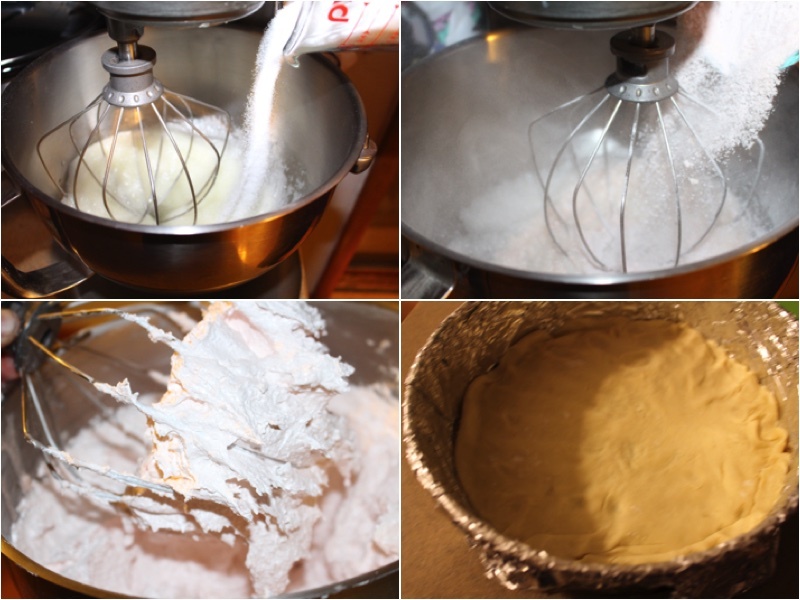 Add egg whites, sugar, and kissel into the mixer and mix (medium speed )for about 8 minutes until it is the way its shown in the picture above. Then I take three exactly the same size cake forms and cover with foil paper. Spray the foil paper with oil and add one of the dough pieces into each of the forms and spread the dough out. 3. 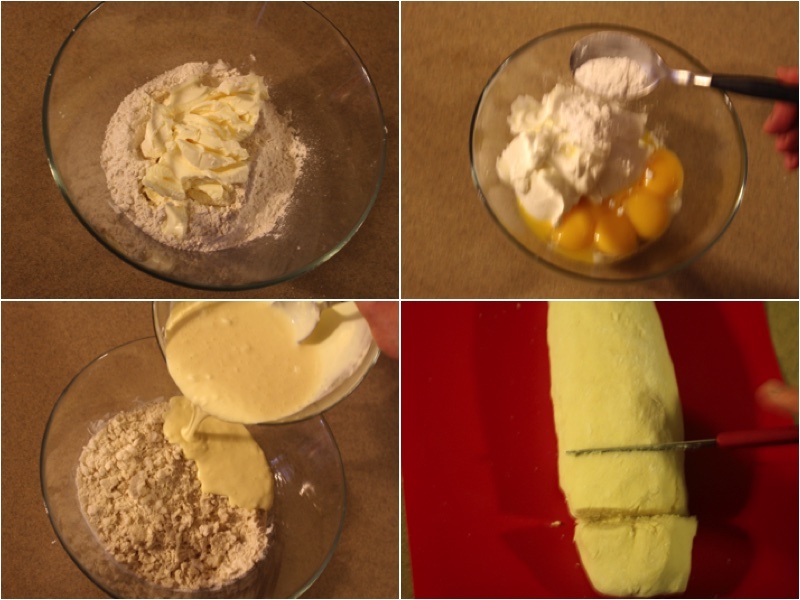 )The mixture that you made in the mixer bowl, split into 3 equal amounts and put on top of the dough in each of the cake forms. Then on top of the filling you add cherries as shown above. Now you are left with 3 pieces of dough, that need to be rolled out into 3 round shapes. 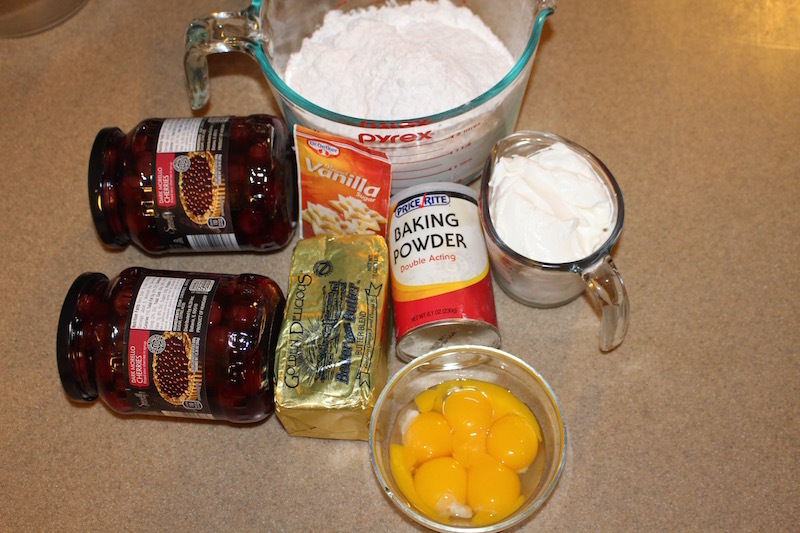 You will use the rolled out dough, to cover the cherries in each of the cake forms as shown above. Bake at 375 F for 40 minutes. While it is baking add sugar, flour and milk and mix well. 4.) Then add the mixture into a small pot and let it boil for 5 minutes. ( while it is boiling make sure to mix ). Let it cool down and add butter and mix with a mixer for about five minutes. After the cake pieces cool down we wet the top with cherry juice mixed with water.Then cover each cake layer with the cream and place on top of each other. 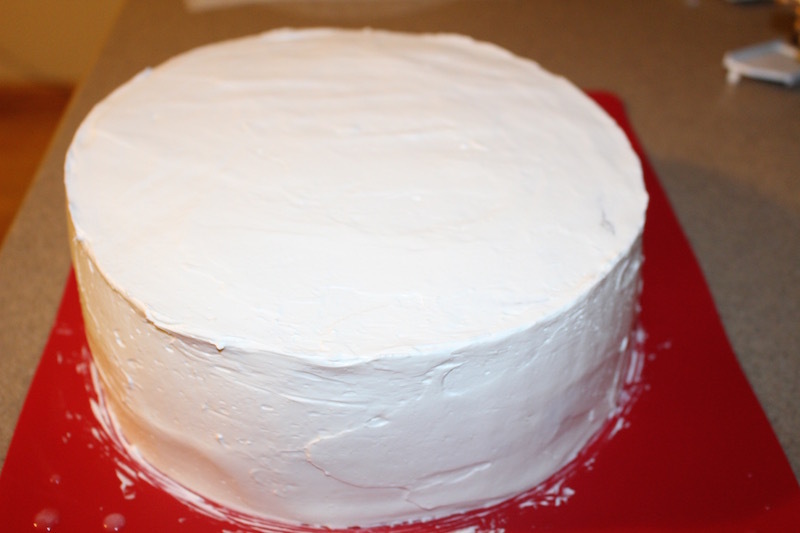 5) With the left over cream cover the cake completely. Now you can decorate it with anything that you’d like. This delicious 3 layered cake is made with cherries on the inside. 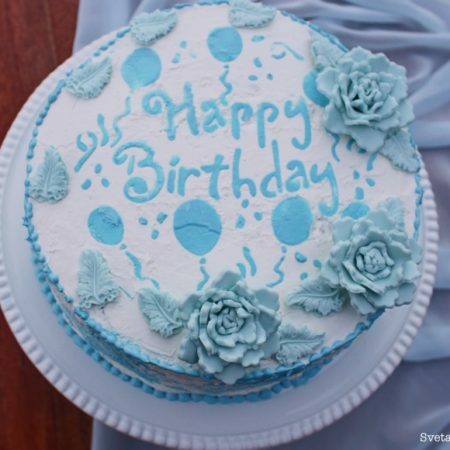 It is one of my son's favorites that I made for his birthday. 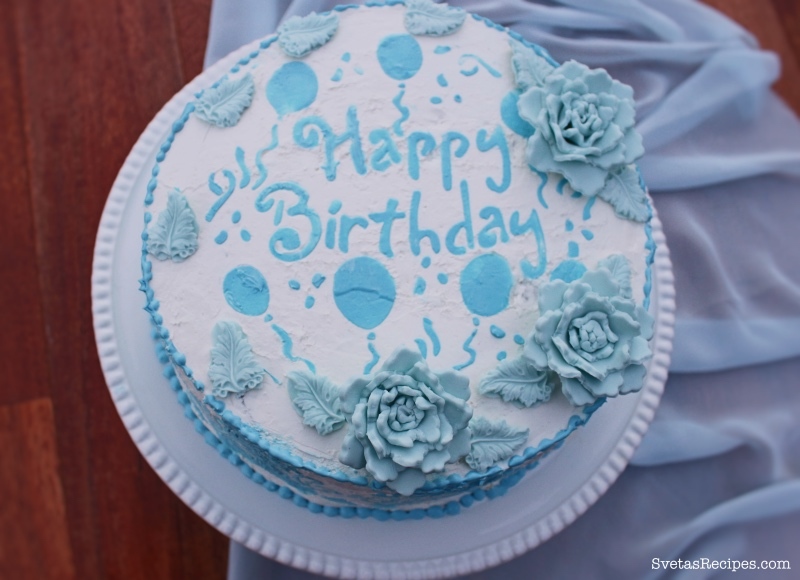 This cake вишнева фантазія is very popular in Ukrainian culture. Sift flour into a bowl and add room temperature butter and mix well. In a separate bowl add egg yolks, baking powder, vanilla sugar, and sour cream and mix. Then combine both of the mixtures together and mix well until it becomes smooth dough. Make the dough into an oval shape as shown in the picture above and then divide into 6 equal pieces. 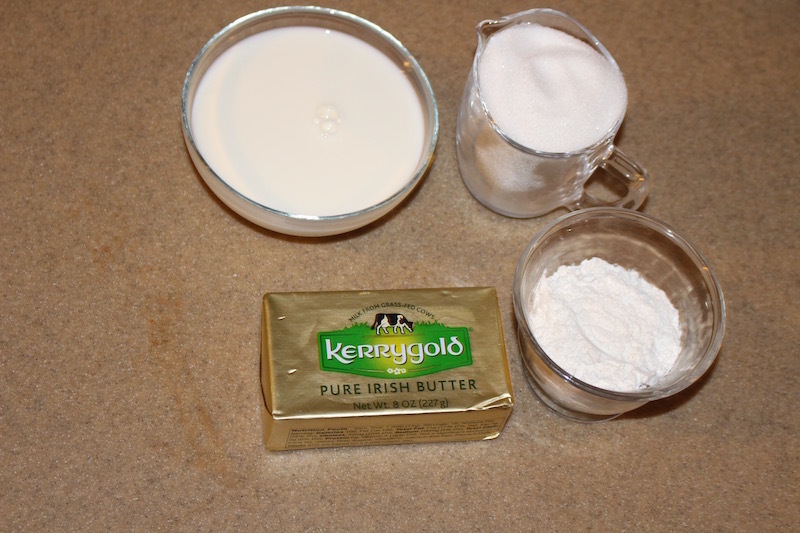 Add egg whites, sugar, and kissel into the mixer and mix (medium speed )for about 8 minutes until it is the way its shown in the picture above. Then I take three exactly the same size cake forms and cover with foil paper. Spray the foil paper with oil and add one of the dough pieces into each of the forms and spread the dough out. The mixture that you made in the mixer bowl, split into 3 equal amounts and put on top of the dough in each of the cake forms. Then on top of the filling you add cherries as shown above. Now you are left with 3 pieces of dough, that need to be rolled out into 3 round shapes. 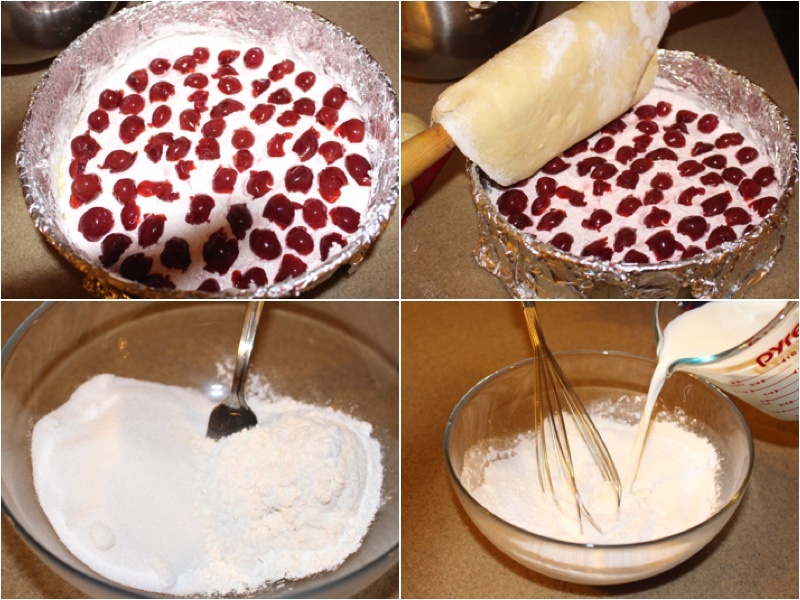 You will use the rolled out dough, to cover the cherries in each of the cake forms as shown above. Bake at 375 F for 40 minutes. While it is baking add sugar, flour and milk and mix well. Then add the mixture into a small pot and let it boil for 5 minutes. ( while it is boiling make sure to mix ). Let it cool down and add butter and mix with a mixer for about five minutes. After the cake pieces cool down we wet the top with cherry juice mixed with water.Then cover each cake layer with the cream and place on top of each other. With the left over cream cover the cake completely. Now you can decorate it with anything that you'd like.